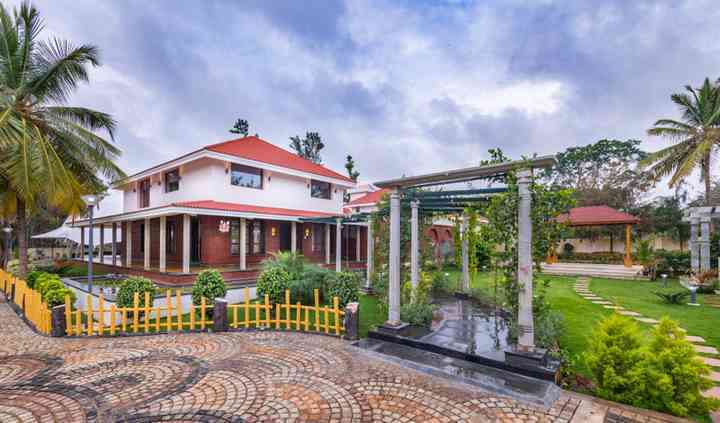 Nesara is a farmhouse located on the Kanakapura Main Road, which is situated in the city of Bangalore. It is an all-inclusive wedding destination, where you will find tranquil surroundings, breath-taking venues, reliable services and a great ambience for celebrating the best moments of your life. 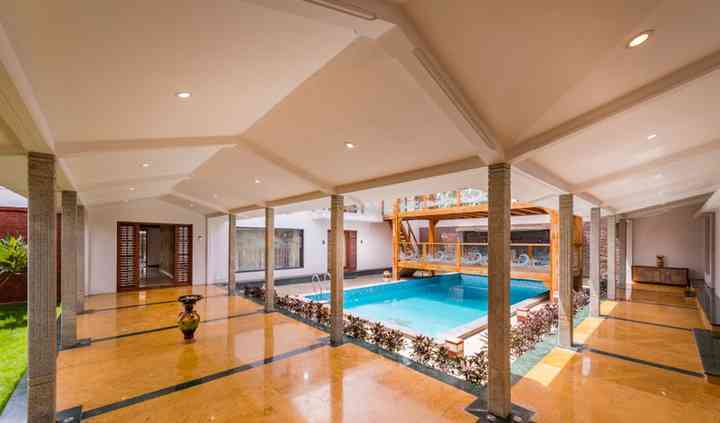 Located in picturesque settings, Nesara is situated on the outskirts of the city and is easily accessible. From landscaped gardens to blissful waterfalls to spacious venues, Nesara offers you everything creating an ideal wedding and related functions destination. 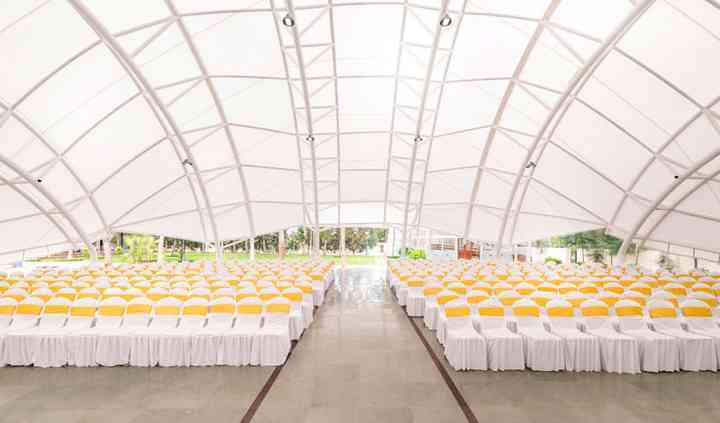 Whether it is an intimate cosy function or a grand celebration, Nesara has a venue for every occasion. 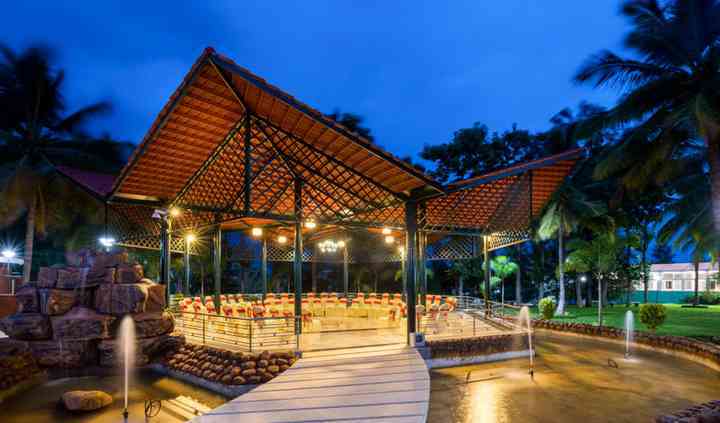 Nakshatra is an open venue for small events with limited guests, situated comfortably next to a scenic waterfall. For a bigger event, Rudraksha is an ideal choice. There is a banquet area, Swadishta and a number of accommodations with varying categories and luxurious features are also available. There is friendly and dependable staff waiting for you at Nesara to deliver impressive assistance for creating a unique event. Every detail will be handled with perfection and dedication and they will give great ideas and will enhance your vision to plan every aspect of your event just the way you have always imagined. An impressive and impeccable panel of in-house decorators and in-house caterers who have been in the respective industry for years and have thus carved a niche for themselves given to the contraband of experience that they have in their kitty.